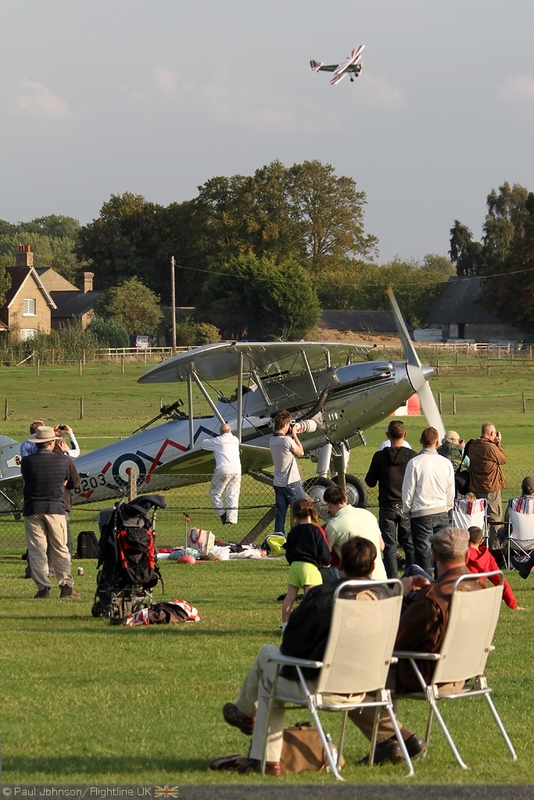 Any Shuttleworth Collection flying display is well worth a visit, but the Evening Displays can be truly magical occasions when the weather plays ball. 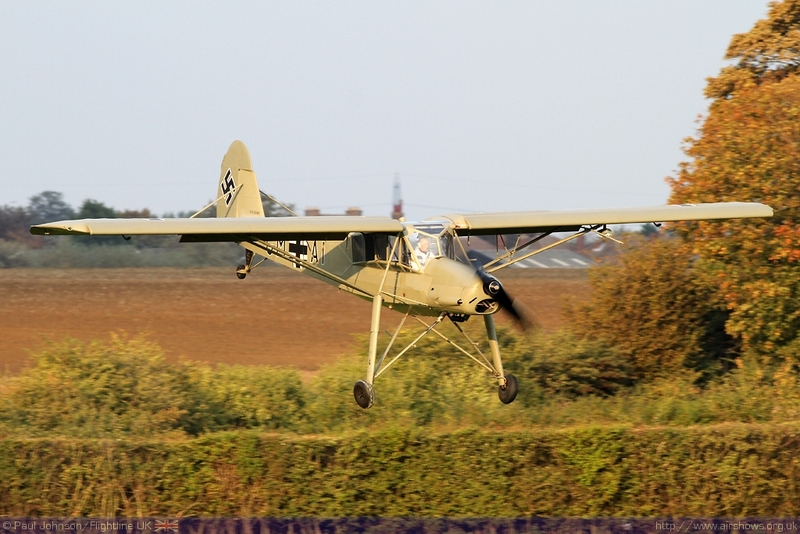 The weather was particularly kind for the final flying evening of the year which was dubbed ‘Shuttleworth Uncovered’ which provided visitors a special chance to get close up and personal with a number of the aircraft and vehicles within the world famous collection as well as watching some of them in the air. 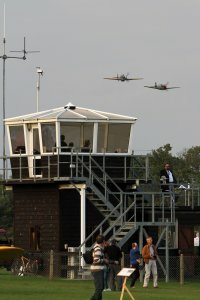 Engineers and Pilots were also on hand to give a unique insight into the work of the collection as well as recount their experiences of operating such unique machinery. 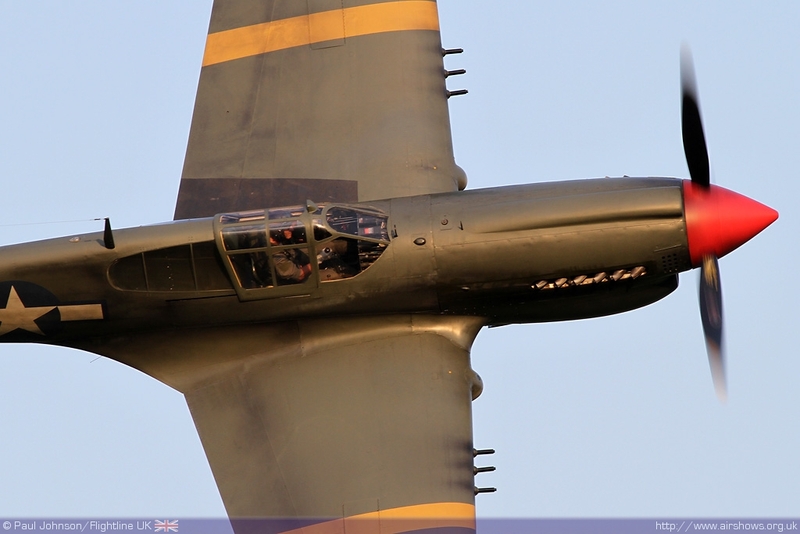 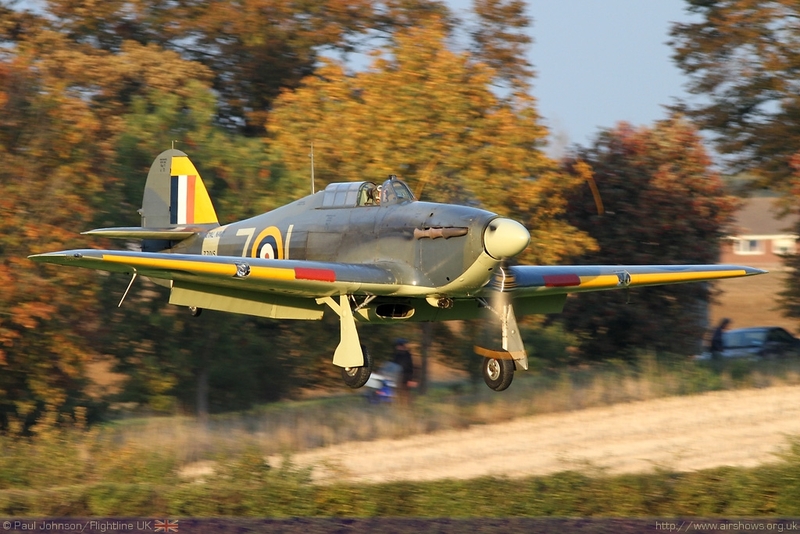 It seems like any bright sunny weekend is a rare event nowadays so the kind conditions which bathed southern England over the last weekend in September meant there was no excuse to head out to Old Warden and their final evening flying display of the year. 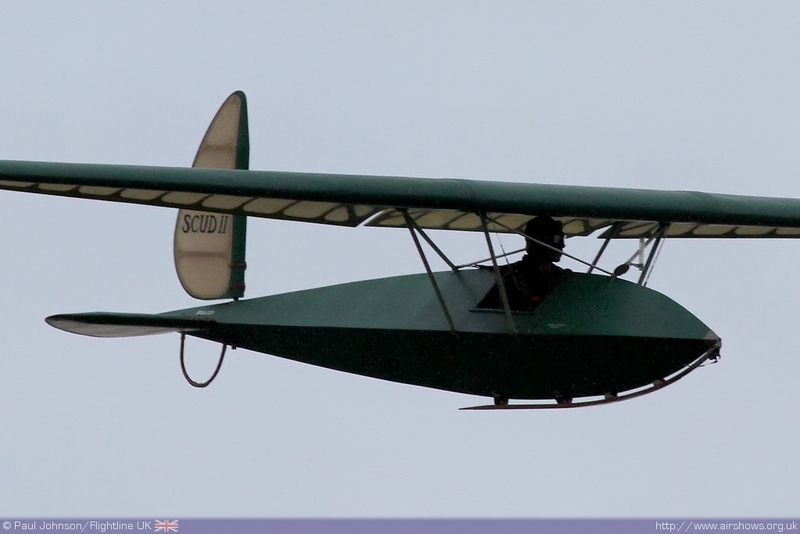 ‘Shuttleworth Uncovered’ in many ways is a very different occasion to the other Old Warden flying displays. 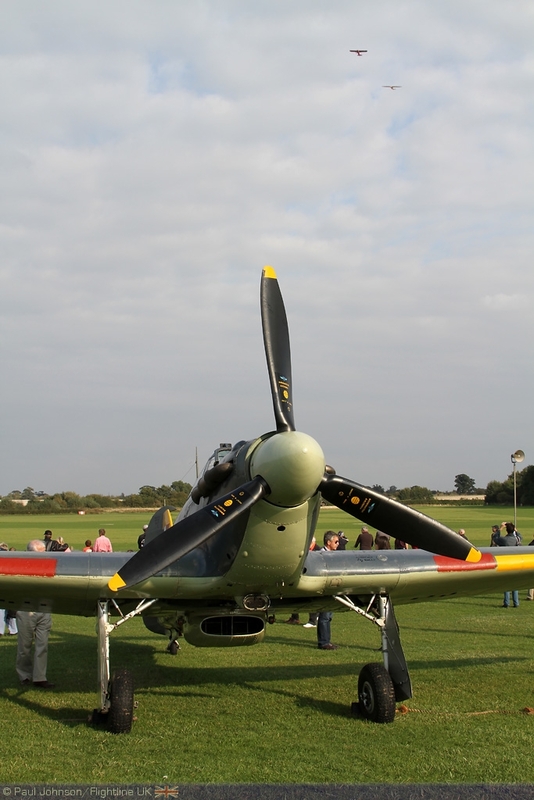 The first big difference is that the normal car parking area is no longer used as such, and instead contains some of the Collections varied flying and wheeled machines on display to the public at close quarters. 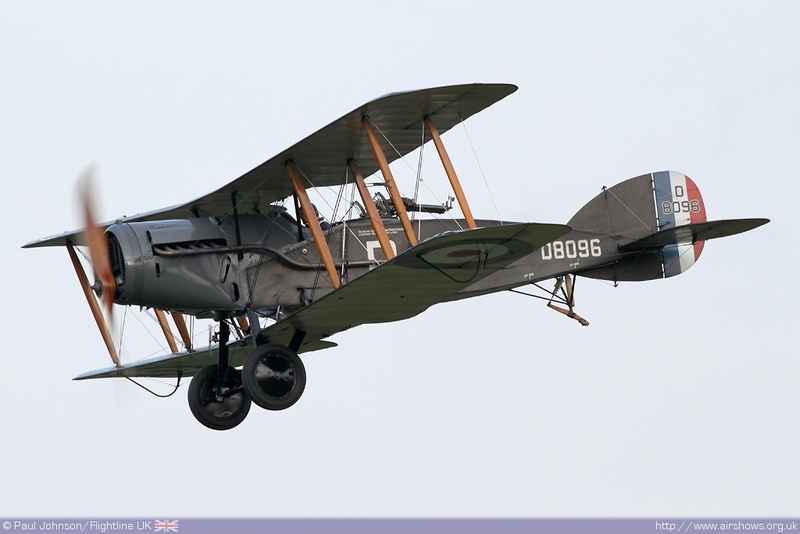 This doesn’t just include aircraft, but also the steam Traction Engines and vintage cars which are all important part of the Shuttleworth Collections preservation efforts. 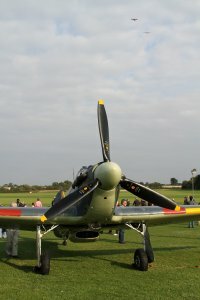 To be able to get up so close to the uber-rare fleet of aircraft at Old Warden is a very rare opportunity in itself, but also to be able to get an engineer’s or pilot’s view of the aircraft is superb. 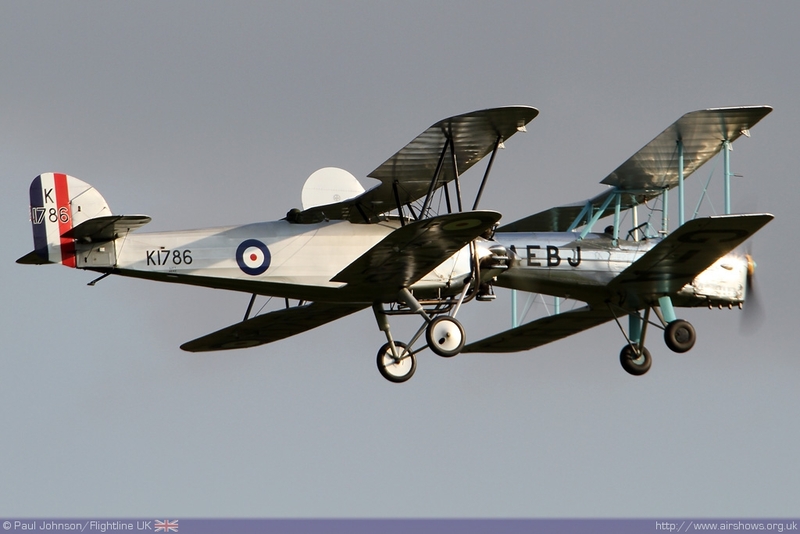 As well as the complete aircraft it was great to see the ‘naked’ framework of the collection’s Avro 504K which is undergoing some major restoration work at the moment. 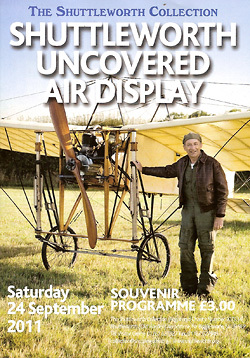 Even the flying display was given the ‘uncovered’ touch with the commentary team made up of Tim Callaway and George Ellis. 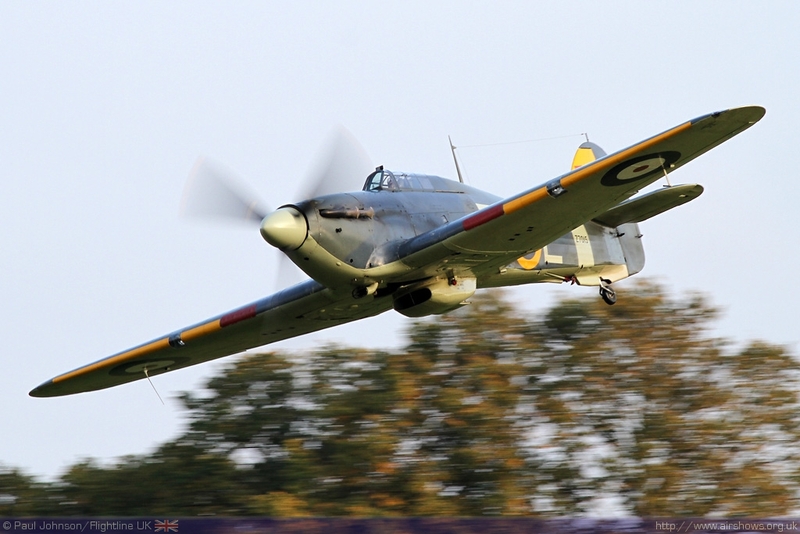 George was one of the collections most experienced pilots and has only just recently retired from display flying. 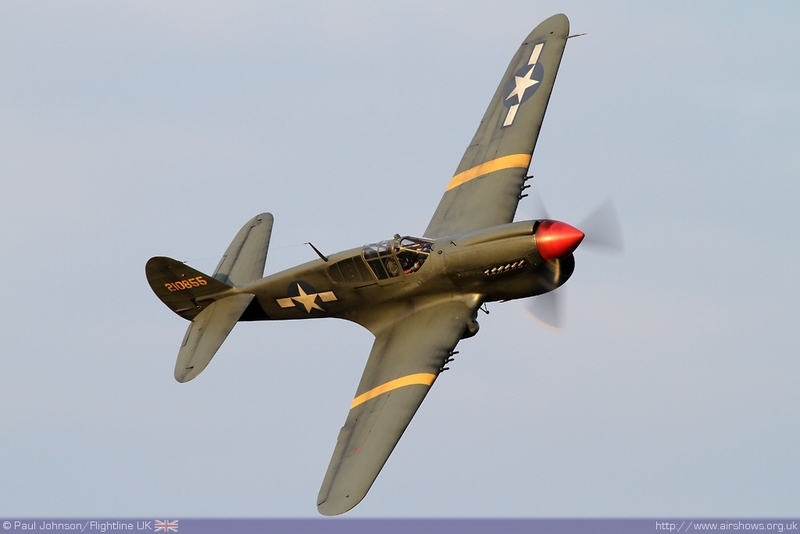 His enthusiasm for the collection’s aircraft shone through and his informative comments really put the public in the cockpits of these wonderful machines. 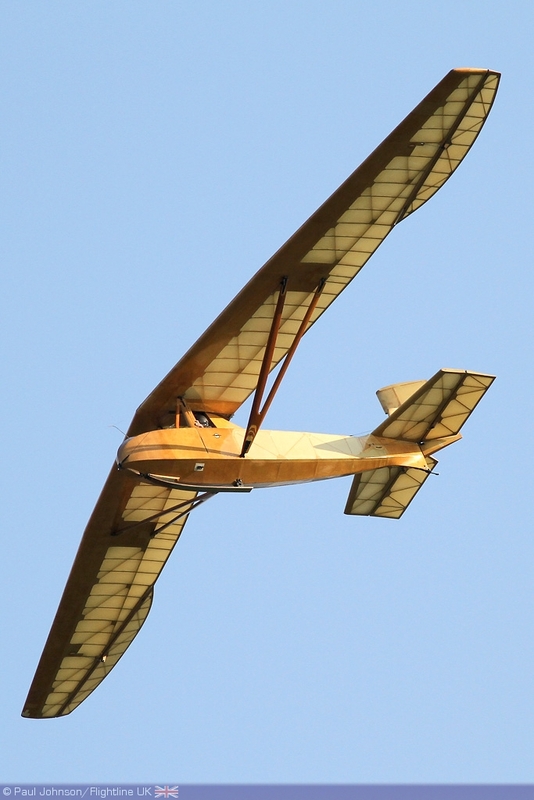 The flying display was opened by a pair of vintage gliders towed by the collections Piper Super Cub G-SVAS. 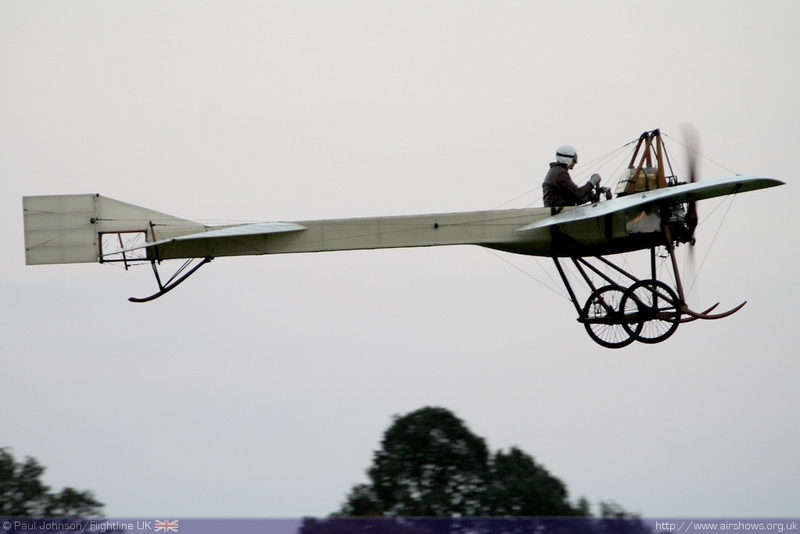 First to fly was the Kirby Kite in the hands of Willy Hackett. 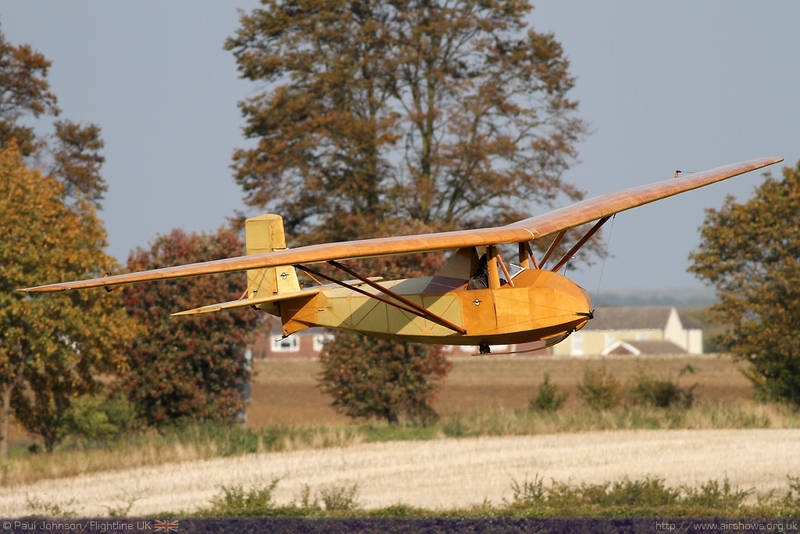 While looking fairly conventional, the Kite is an impressive performer flying some very tight turns. 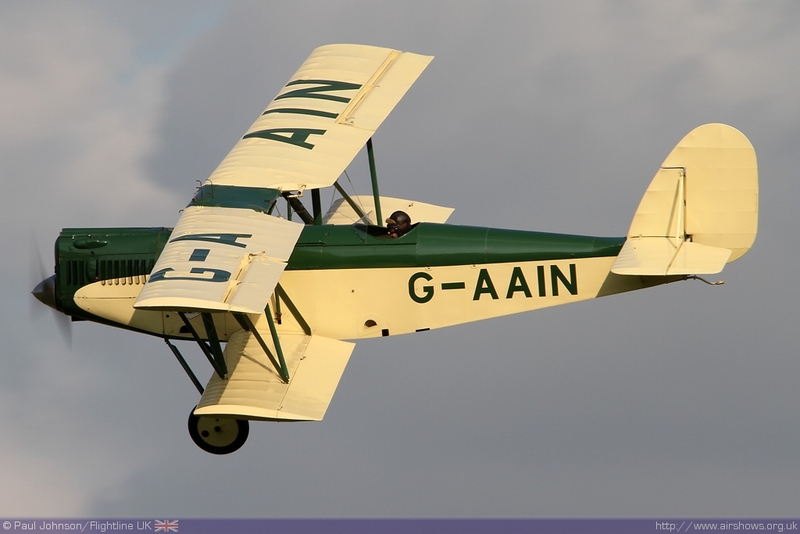 Following on was the Slingsby Falcon which looks very different with its thicker swept wings and boat-like fuselage pod. 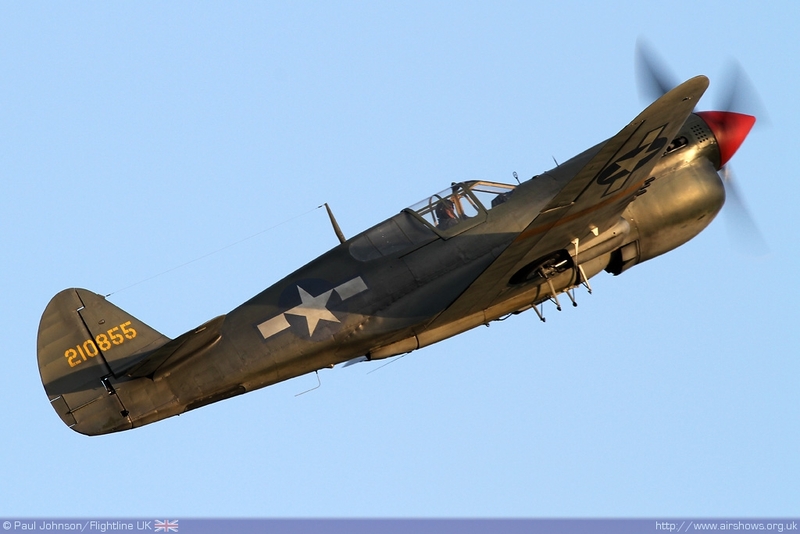 It too was an impressive flyer staying airborne for a fair few minutes despite a relatively low release altitude. 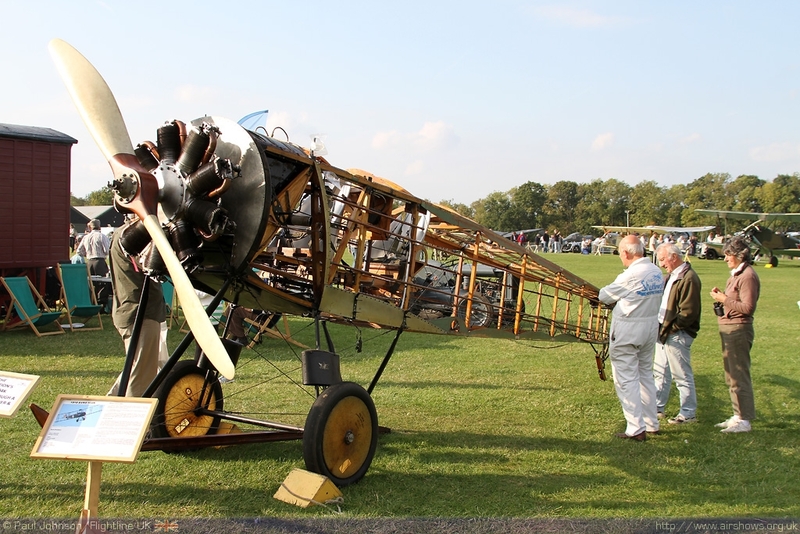 The opening powered flyers were the ‘sole survivors’ – the aircraft types that can only be seen at the Shuttleworth Collection. 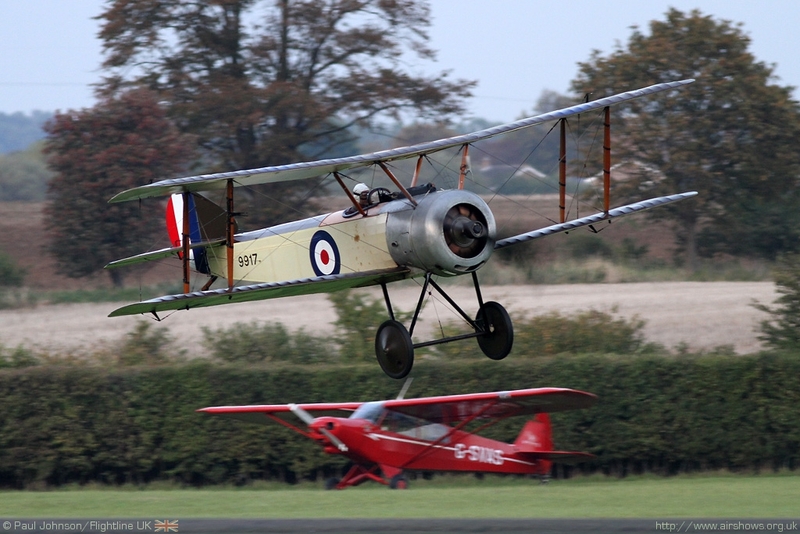 Opening was the De Havilland DH51 ‘Miss Kenya’ alongside the Parnell Elf. 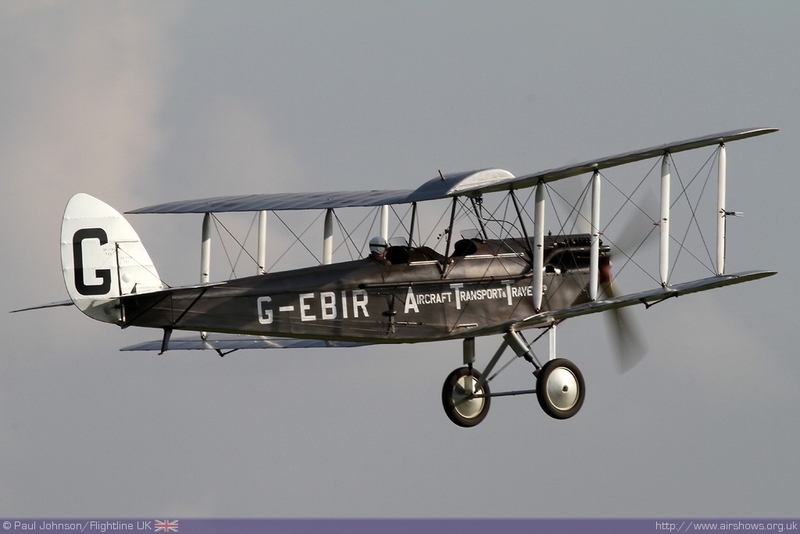 Many would recognise the DH51 from its recent starring role in the new British Airways TV advert and it still wears the temporary scheme it wore for the filming which looks most. 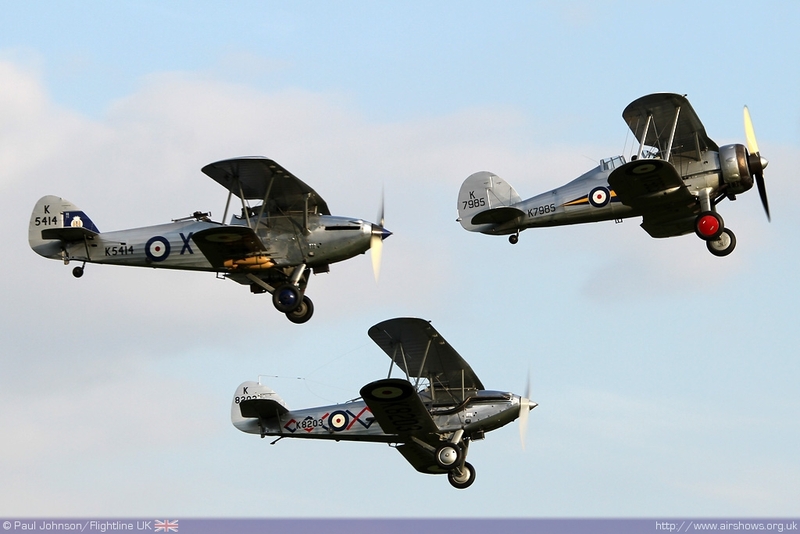 Following on was another pair – this time the unique Blackburn B2 and Hawker Tomtit. 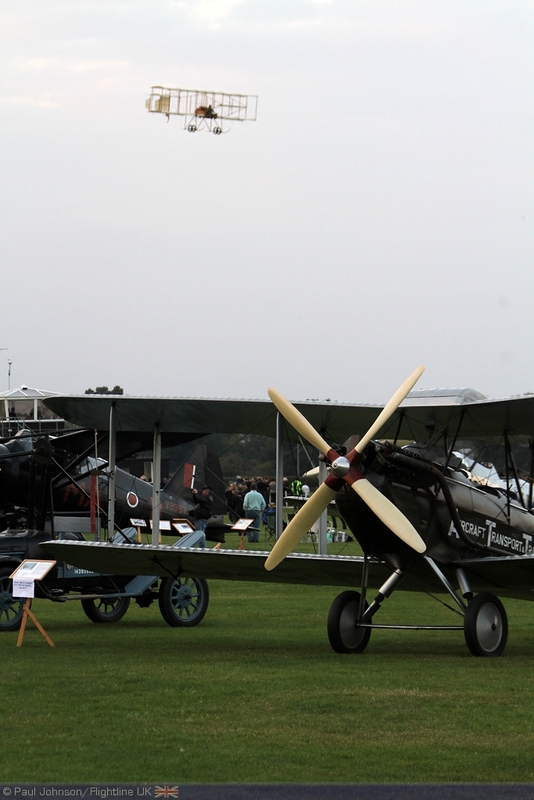 Such pairings are a very pleasing feature of the Shuttleworth displays and the evening saw many more. 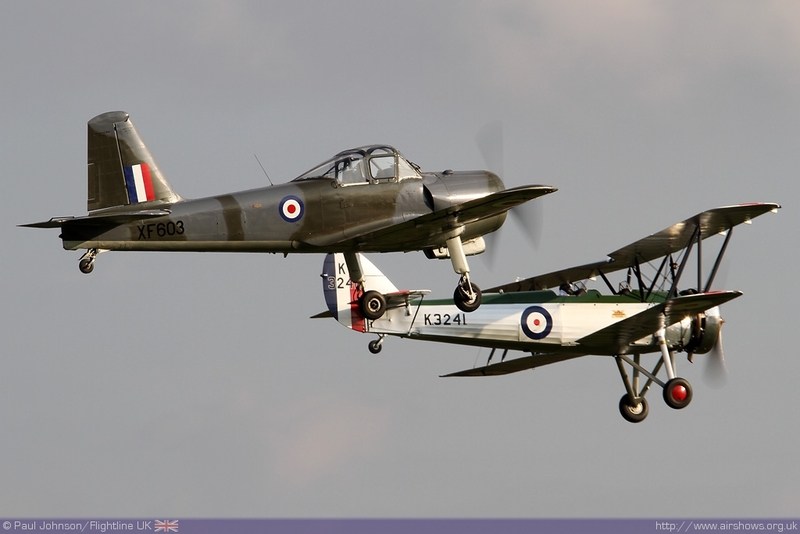 The combination of pre-war and post –war trainers is very unusual but the radial might of the Avro Tutor and Percival Provost makes for a pleasing combination. 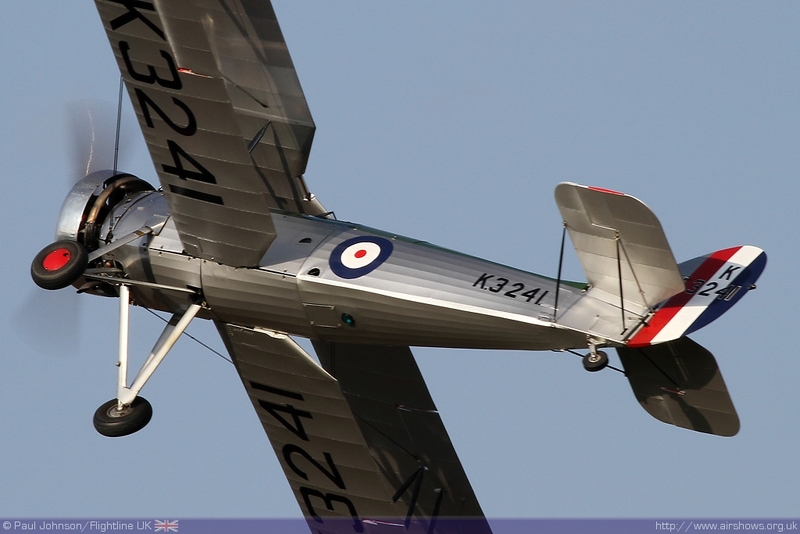 1930’s military aviation is particularly well represented at Old Warden. 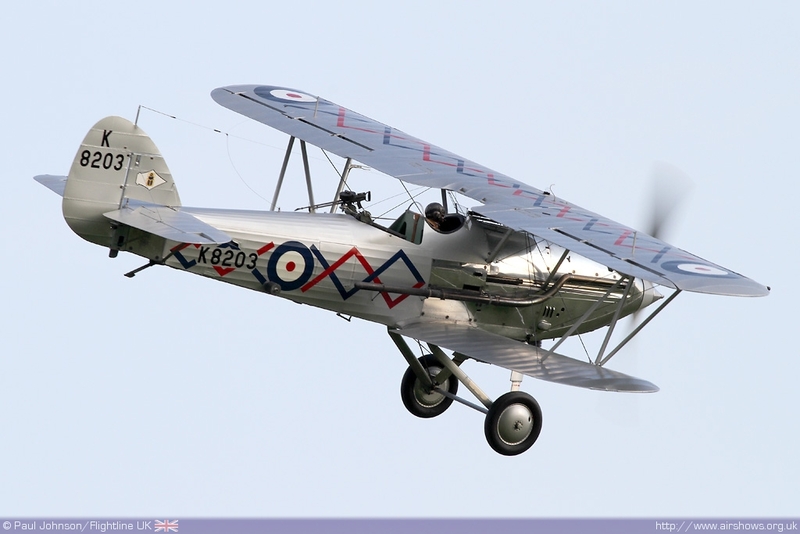 The collection’s Gloster Gladiator is always a popular performer with its pretty lines and silky smooth engine note. 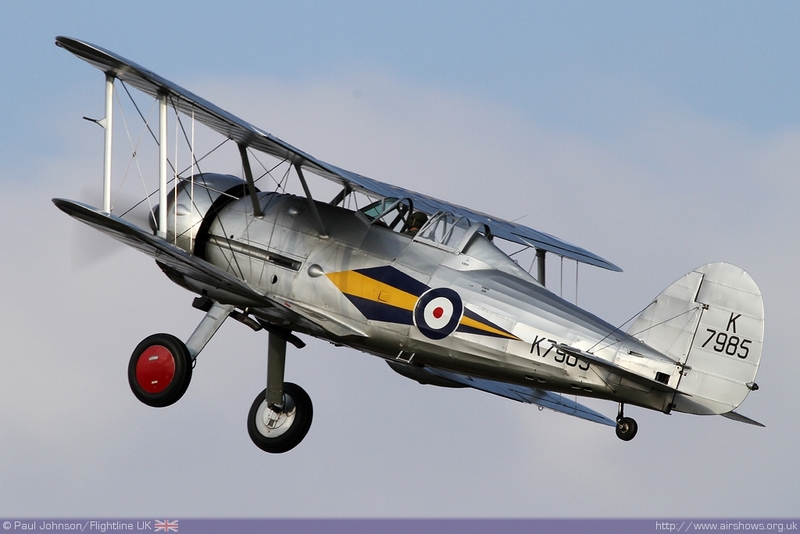 Towards the end of the display it was joined by the collection’s stunning Hawker Hind and Demon Displays Ltd’s Hawker Demon for a beautiful formation of 1930’s front line aviation. 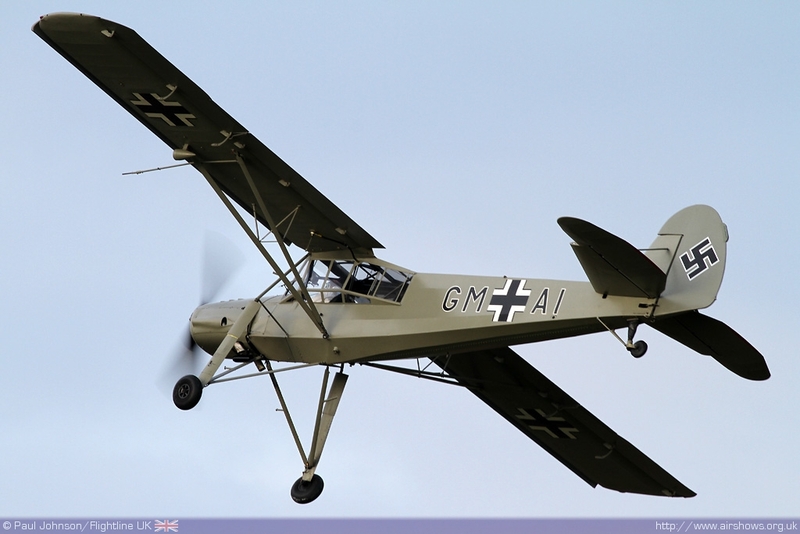 The Second World War section of flying was kicked off by Peter Holloway’s Fiesler Storch which itself is a very rare example sporting its original engine configuration. 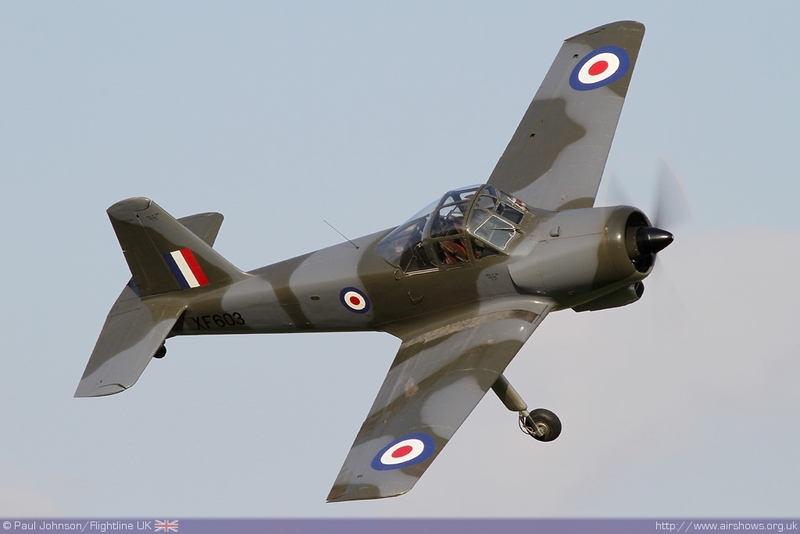 It is another eye catching display aircraft thanks to some amazing low speed performance and it’s very, very short take offs and landings. 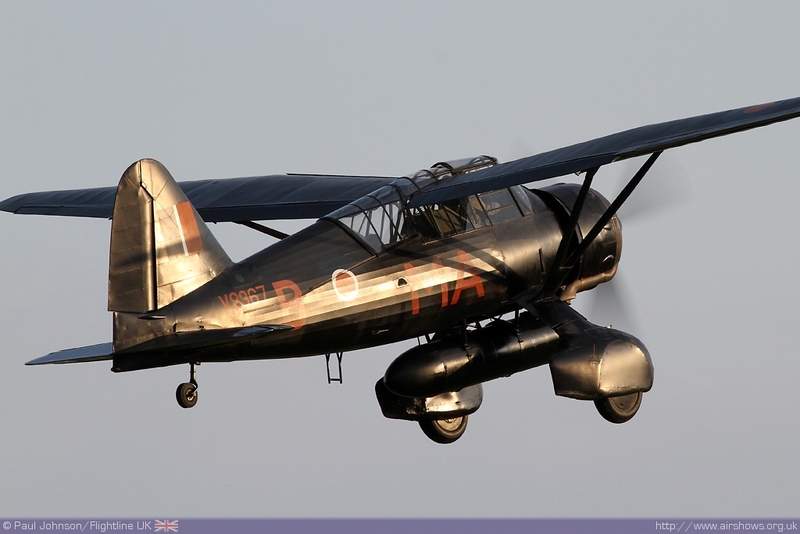 It was followed by its British equivalent, the much larger and more powerful Westland Lysander. 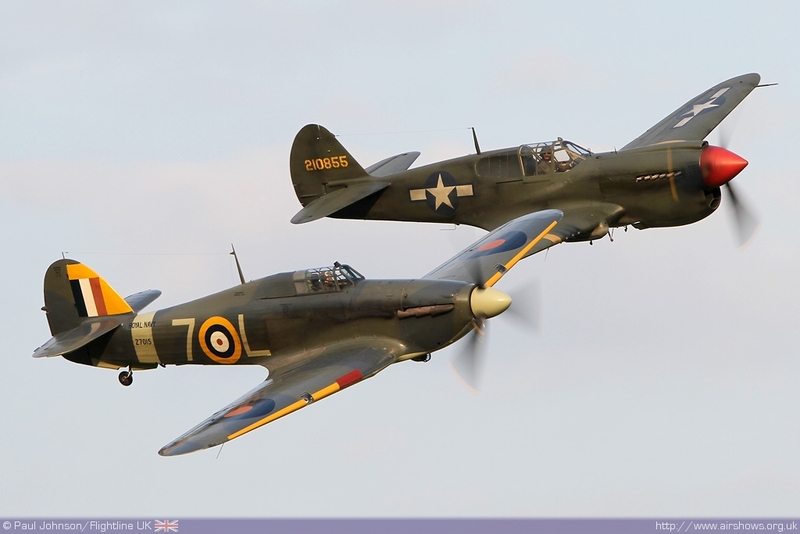 The most potent Second World War aircraft on display were the Shuttleworth Collection’s Sea Hurricane 1B and Peter Teichman’s Curtis P-40M Kittyhawk which were paired together to represent the North African campaign in the glorious warm light of the sunset. 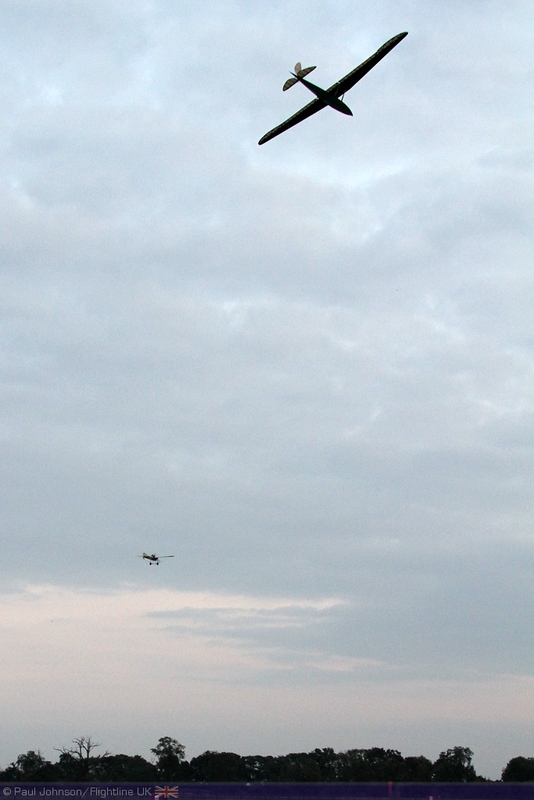 However, the real magic was yet to come as the light slowly started to fade and the wind dropped to nothing. 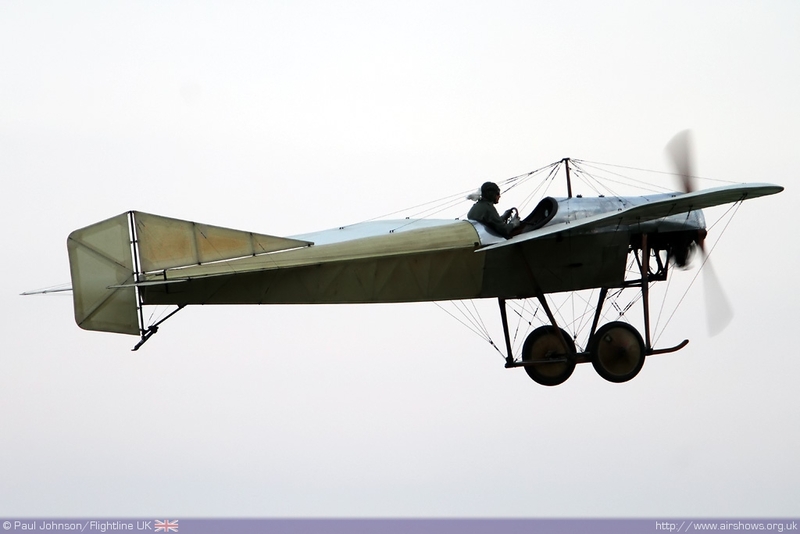 Kicking things off was a look at the World War One machines that are unique to the Shuttleworth Collection. 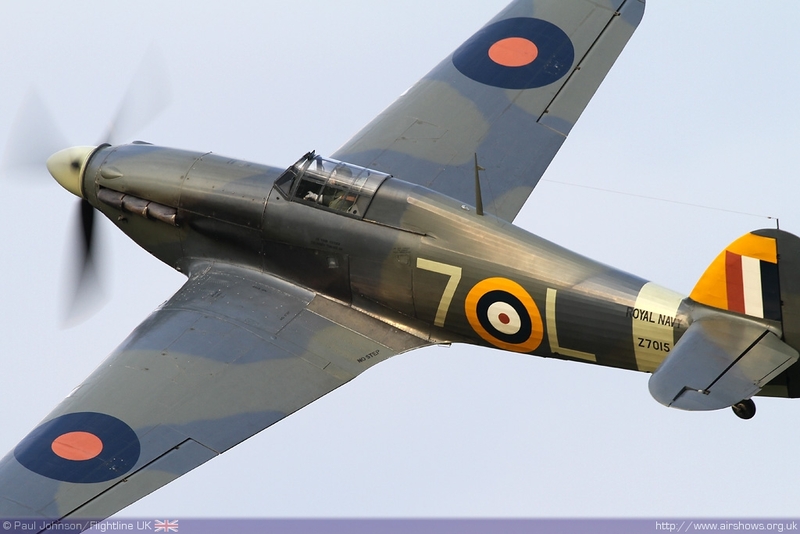 The collection of these primitive fighter machines gathered for this segment of the flying programme began with the Bristol F2b Fighter and the R.A.F SE5a which are original aircraft that have long been part of Old Warden flying displays. 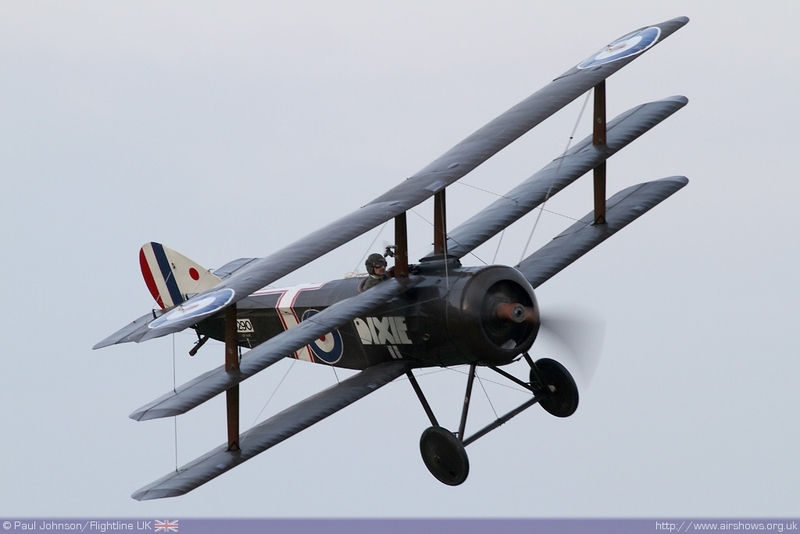 The final pairing of World War One aircraft to fly were the Sopwith pairing of Sopwith Pup and Triplane. 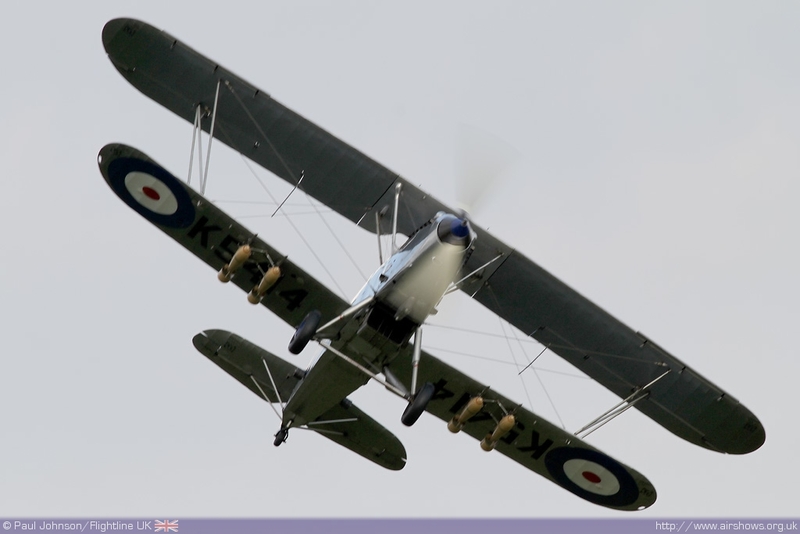 Unlike the Bristol and the SE5a, these aircraft are powered by the distinctive rotary engines with their blip switches and smell of engine oil which added to the atmosphere of the early twilight. 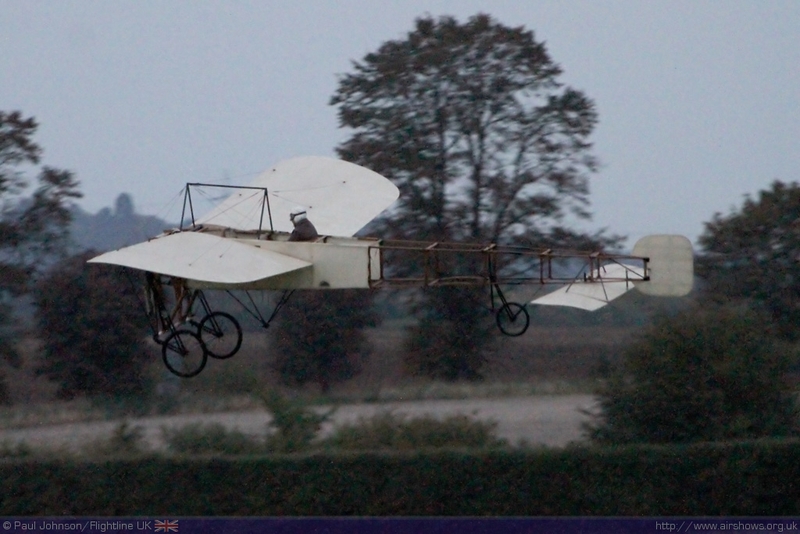 As is tradition on these rare ‘perfect’ evenings the flying is closed by the ‘Edwardian’ flyers – something you will not see anywhere else. 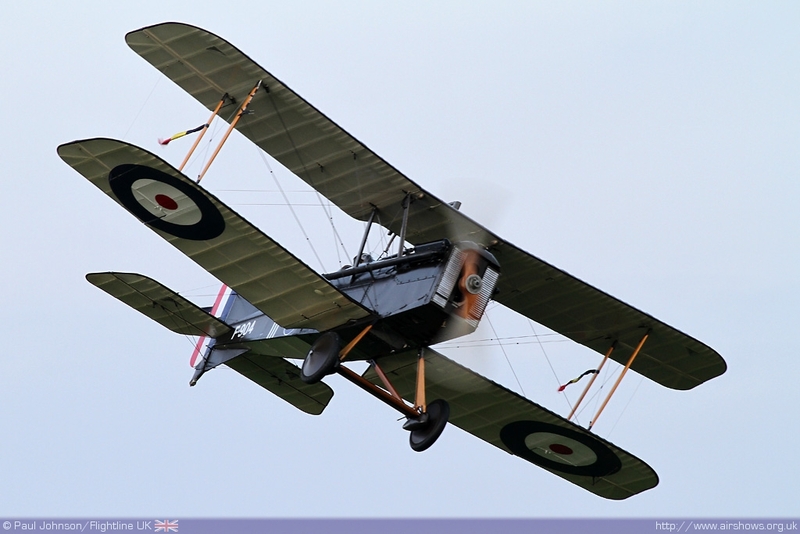 Opening the finale were the Bristol Boxkite and Avro Triplane replicas made for the film ‘Those Magnificent Men in their Flying Machines.’ While they may be replicas, they are now quite old aircraft in their own right and exhibit some tricky handling characteristics. 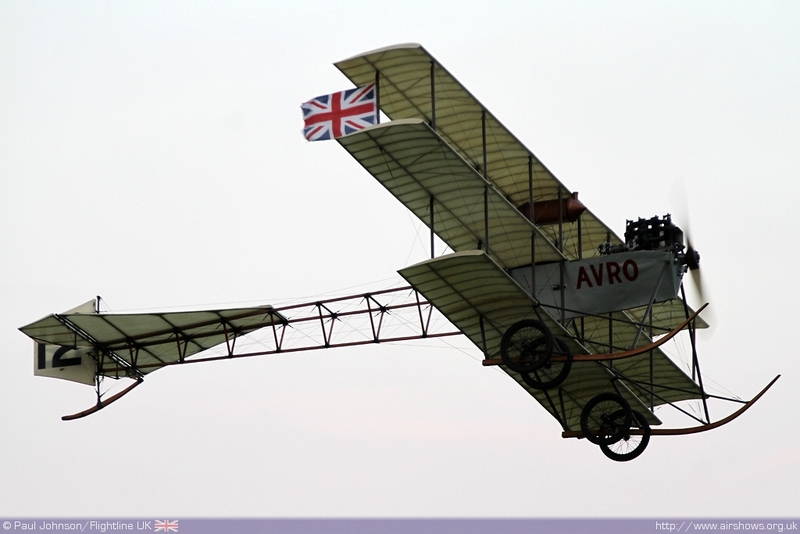 Rounding off the evening were some of the oldest aircraft left flying in the world. 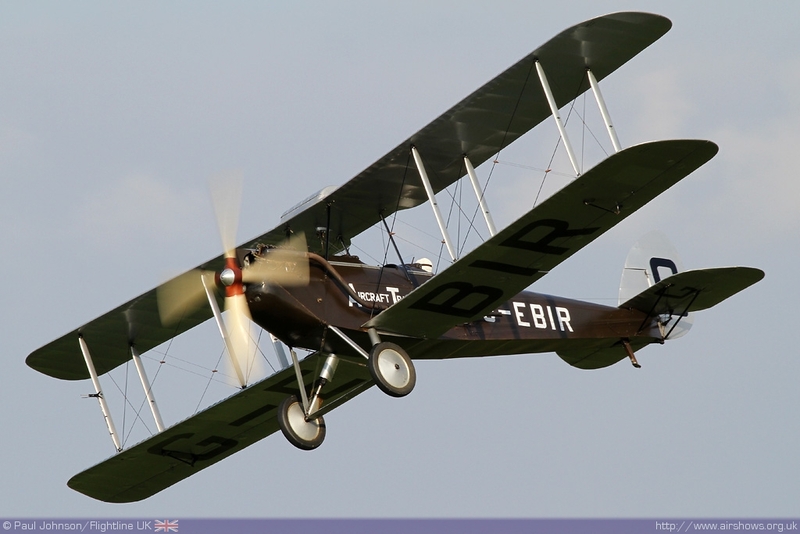 The Blackburn Monoplane is the oldest British aeroplane flying anywhere is a superb performer. 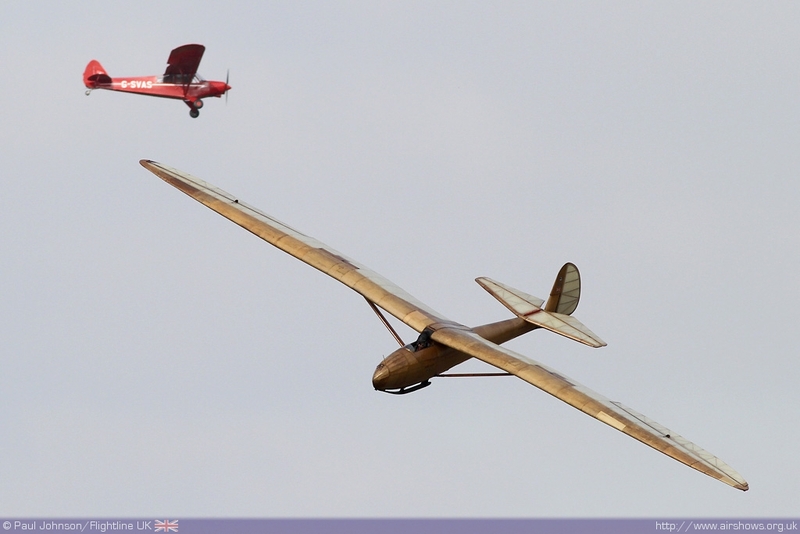 It was joined in the air briefly by the Scud II glider which is the oldest British glider flying anywhere! 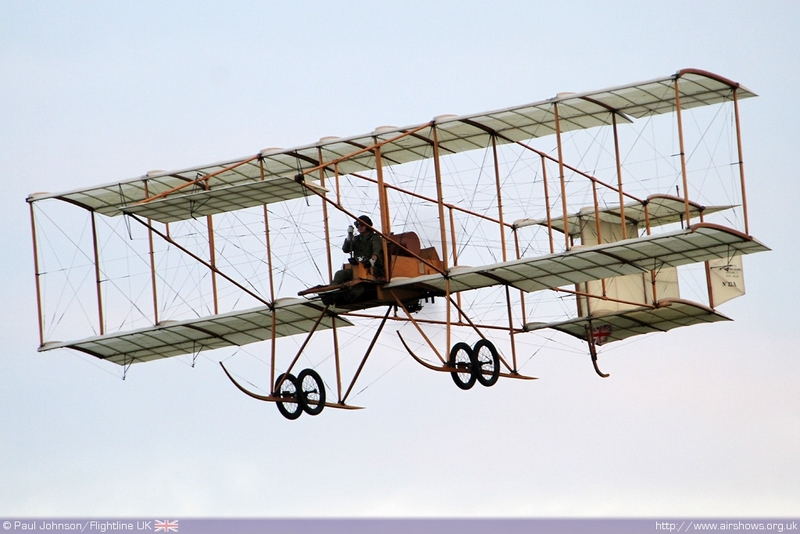 The final hops were made by the Deperdussin and Bleriot XI – the oldest aero engine still flying and the world’s oldest flying aircraft. 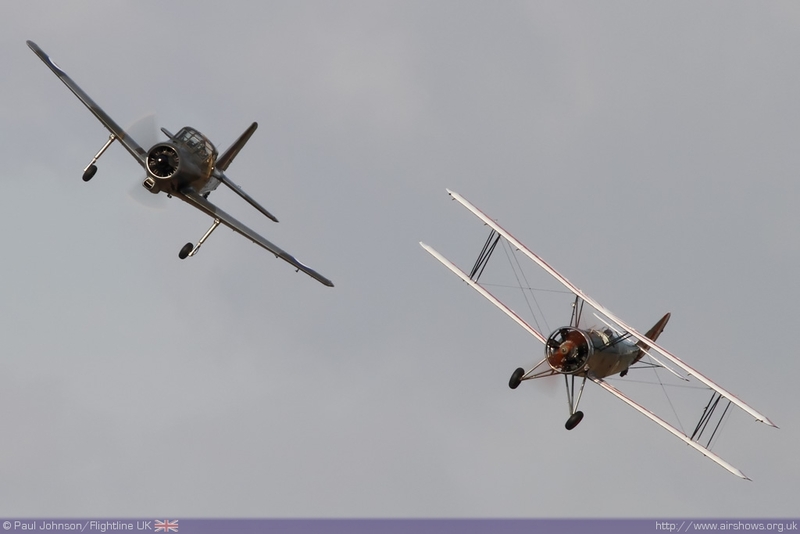 While both are restricted to short hops up and down the runway conditions were perfect for both aircraft to gain a little altitude before settling back to earth. 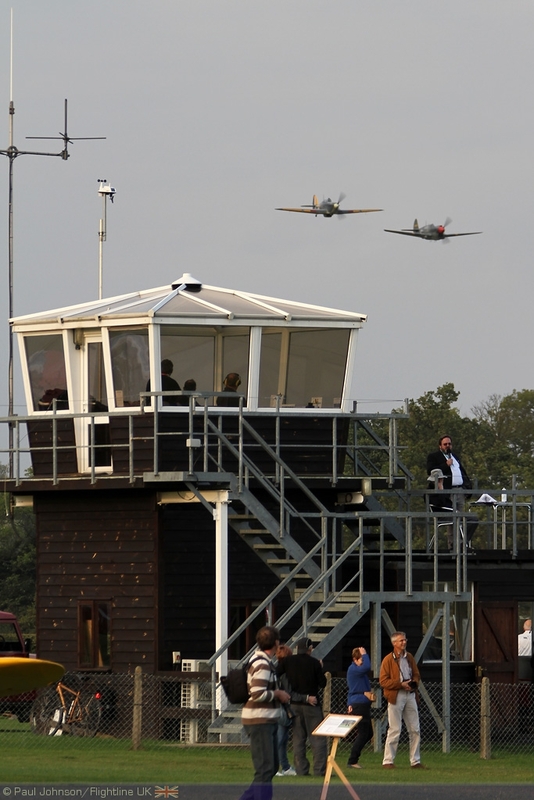 On their final runs both aircraft even made the turn at the control tower to land uphill to bring a magical flying display to superb end! 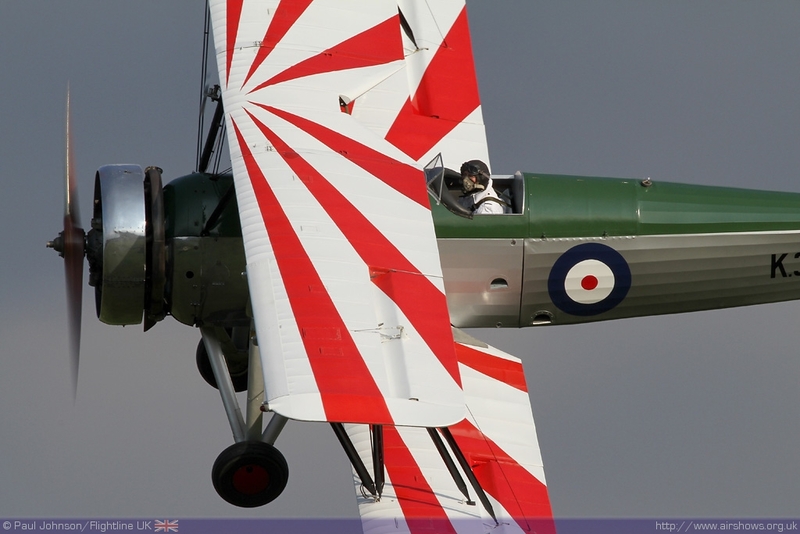 Well done to all at Old Warden!